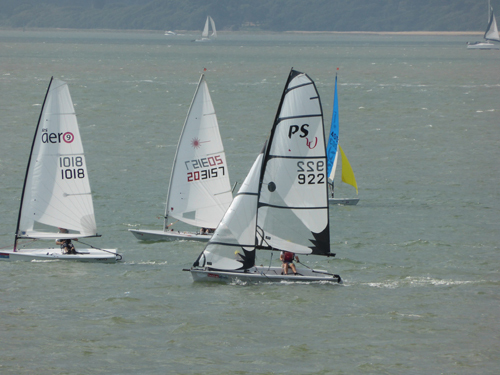 After mostly gentle breezes, the 40th anniversary Cowes Dinghy Week ran from 26 – 30 July in perfect sailing weather. Gurnard's RS Aeros were quick out of the blocks to muster a fleet within the first month of production boats being available! 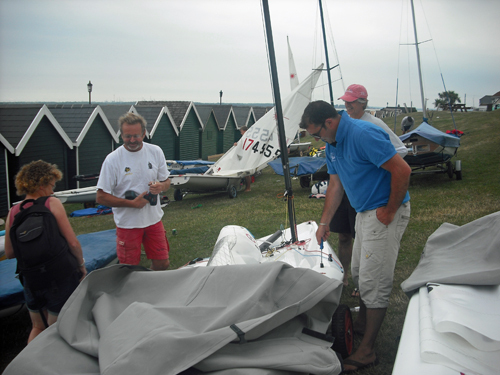 18 competitors raced in 11 RS Aeros with some taking it in turns in the demo boats that RS Sailing had made available. Visitors travelled from as far as Datchet and Shoreham. The mixed fleet of '9', '7' and '5' rigs of the RS Aero competed together based on provisional PY handicap numbers. 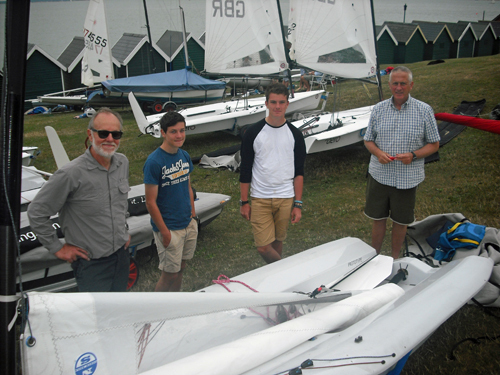 Ultimately, visitor David Rickard of Datchet SC claimed 1st overall with his '9' rig, ahead of locals Jane Peckham 2nd and Martin Bean 3rd. Sophie Mackley of Shoreham finished strongly, winning both of the last two races in her '7' rig. Besides a mountain of volunteer effort headed this year by Vice Commodore Judith French, the event relies on sponsorship to be able to handle some 100 entries from 6 local and mainland clubs plus a busy social programme, and Gurnard SC is grateful to Lancasters for this support and also to Henri Lloyd, Marineware and RS Sailing for prizes and contributions.